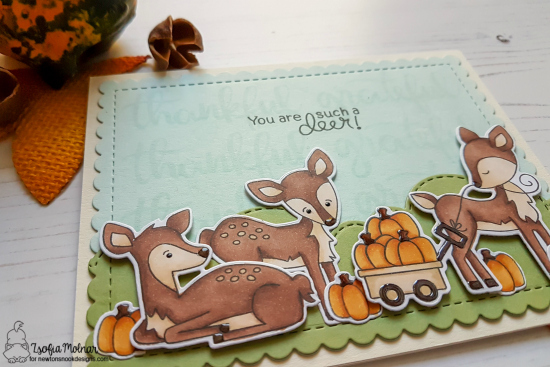 Today Zsofia created an this sweet card using deer from two different stamp sets to create a lovely Fall scene! She started our stamping the two sweet fawns from our Deer Friend Stamp Set and the deer pulling the wagon and pumpkins from our Harvest Tails Stamp Set. She colored all the deer and pumpkins using copic markers and then die cut them out using the coordinating Deer Friend and Harvest Tails Die Sets. Those deer work so perfectly together, don't you think!? 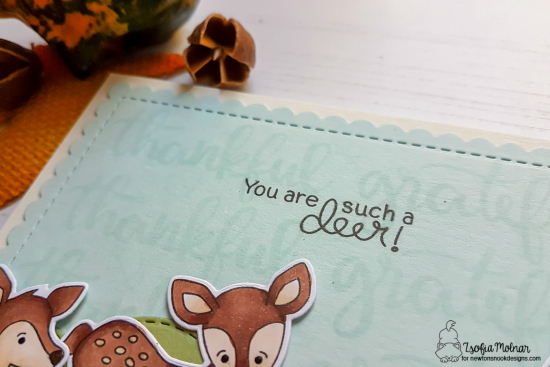 She finished her card off with the "You are such a deer" sentiment in black from our Deer Friend Stamp Set. What a lovely Fall scene! This is an adorable card !! !